If you are off campus, you have to log in to our databases with a library username and password. These can be found in MyPlace. 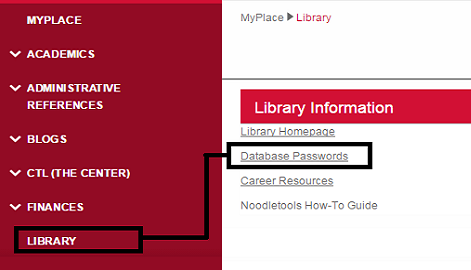 After logging in to MyPlace, click on Database Passwords under the Library link.